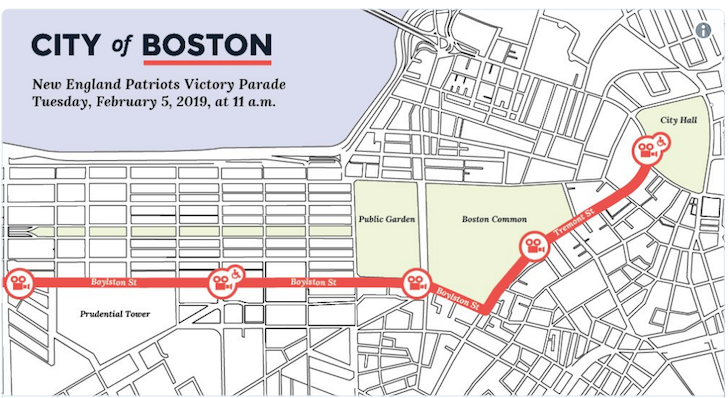 If you’re fired up about the latest Patriots Super Bowl victory enough to see Tom Brady, Gronk and VIP Julian Edelman parading around the streets of Boston in duck boats, here’s what you need to know. Starts at 11am on Tuesday, February 5th from the Hynes Convention Center. It’s gonna be warm! It could reach up to 60 degrees and maybe a passing shower – no need for those knit beanies. Over 1 million people are expected to take part in the celebration. If you park near the parade route, please make sure to check the posted street signs. Streets where we restrict parking will have posted signs that say, “No Stopping Boston Police Special Event.” You can see a full list of parking restrictions here. Mayor Marty Walsh does not want you acting like a jabroni. No throwing cans of beers at the duck boats. 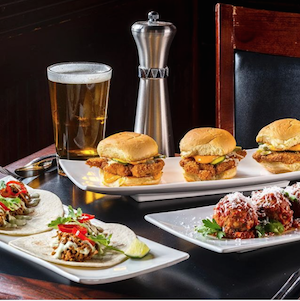 Visit Back Bay Social Cluc, not only located right in the heart of Back Bay but right along the parade’s route, to catch all the action! Starting at 8 a.m. Back Bay Social will be serving up some of their favorite lunch and breakfast specials like their maple glaze donuts, avocado toast, and Belgian waffle. They will have decorations, themed cocktails and their patio open. Sonsie on Newbury Street will be celebrating all day! 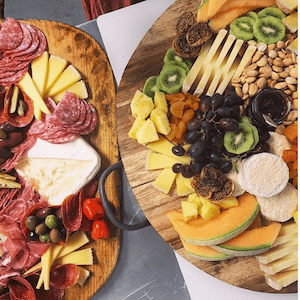 With the bar opening at 9 a.m, their weekday brunch being served from 9 a.m. until 1 p.m, and their lunch menu beginning at 10 a.m, Sonsie will be one block away from the parade’s route and have you covered for any pre- or post-parade sips and bites. Both Summer Shack locations will be opening at 10 a.m. in honor of our Superbowl Champs, serving up their full lunch menu, featuring Boston’s best seafood and some celebratory bar specials! Plus, grab a free cup of chowder between 11 a.m. and 1 p.m! Summer Shack is located right on the parade start line. The Bowery Bar will have plenty of cocktails at the ready to keep the celebration going! They open for lunch at 11am. Check out their menu here! Lower Mills Tavern will be open for lunch! Burger and beer anyone? Head to Lucy’s American Tavern for some lunch! They open at 11:30am and it’s perfect Mai Tai drinking weather!